CLOSING MAY 20th - Due to retirement!!!! Need to get away but aren't sure what to do with the pets? Mt. Pleasant Pet Services is the answer to your needs. We provide quality, reliable in-home pet care to dogs, cats, birds and small animals. We also have experience in caring for horses. We will treat your pet with care and respect as if it were one of our own. Mt. Pleasant Pet Services offers an affordable, professional option to boarding your precious pets. Every pet is treated as an individual and receives care based on its own unique personality. You will have a much better time on your trip knowing your pets are safe at home. We provide security for your home, alternating lights, watering plants, bringing in mail, taking out trash, and just giving your home that lived in look. Never worry about what your pet is doing while you are gone again! - Your pet's customary Diet and Exercise routines are followed. Mt. Pleasant Pet Services serves Isabella County, Michigan. Please call today 989-772-0108 to schedule an appointment for a free in home consultation or Click Here to send me an email. Mt. 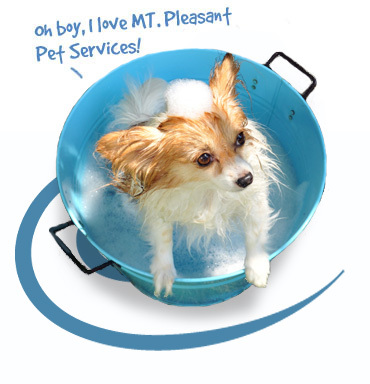 Pleasant Pet Services is bonded and insured for your peace of mind.